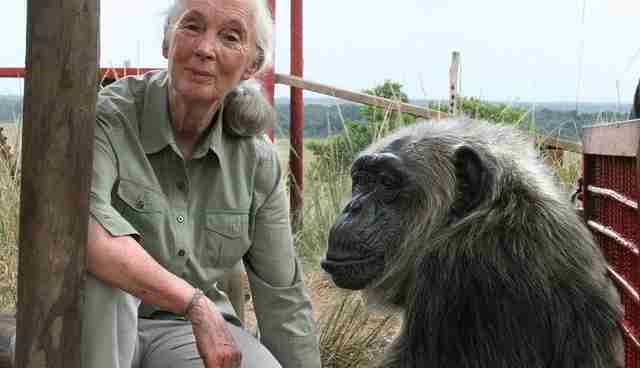 Dr. Jane Goodall needs very little introduction. 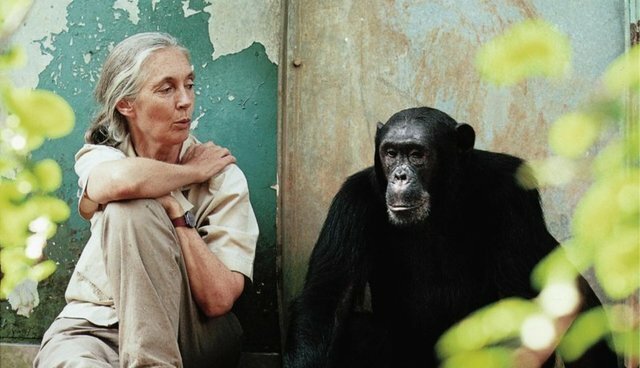 The world's leading expert on chimpanzees is largely responsible for refocusing scientific study to take seriously the presence of emotion and personality in animals. 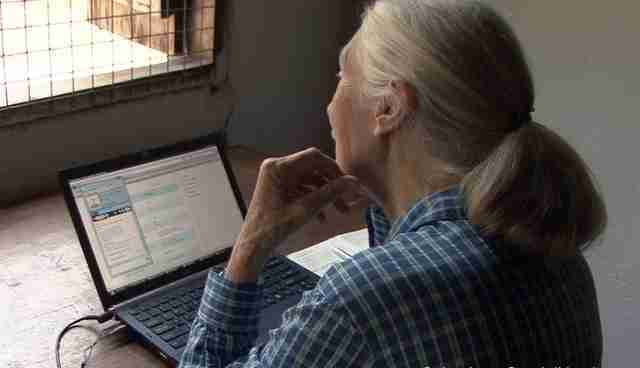 She also founded the global nonprofit the Jane Goodall Institute as well as the youth-led community action and learning program Roots & Shoots. She has offered and continues to offer profound contributions to the fields of conservation and animal welfare, and her dedication to working on behalf of animals is exceptional. The Dodo is founded in part on an observation that there is a shift taking place regarding how people think about animals. 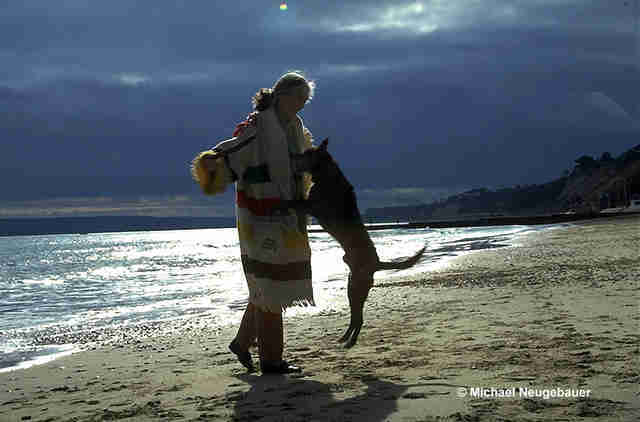 Goodall took the time to speak with The Dodo about our relationships to animals, a number of challenges facing them, and the shift in perceptions currently underway. I'm interested in what kinds of changes in attitudes towards animals you've witnessed take place over the course of your career. When I first went to Cambridge University in 1961, there was no way I could have studied animal minds because animals didn't have minds. I couldn't have studied animal emotions; absolutely not; to even begin to think that animals might share emotions with us. I couldn't have studied animal personalities because all those things were unique to us. You see that written again and again and again. Gradually science has come around. You can study those things now. There are more books being written about morality in animals. 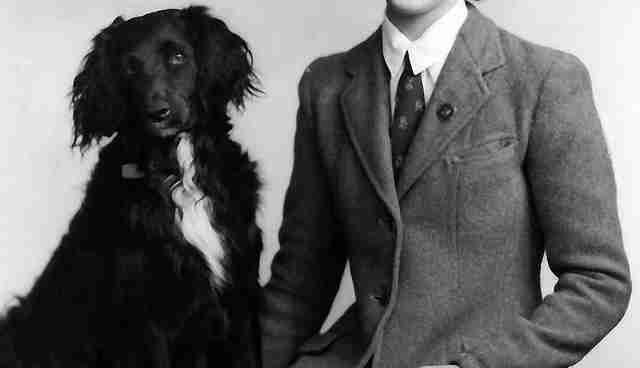 There are more books being written about animal personalities. The idea that animals can actually think and solve problems is being proved so often. I think it was after World War II there was this spate of field studies leading toward longer-term field studies. It wasn't only the chimpanzees that have complex societies and behaviors; the baboons came next. Then there were elephants and lions and gradually all this information coming in from the field where animals are animals rather than in little cages in labs. This, I think, is what began to make people change their attitudes. What's your take on the recent SeaWorld controversy? How long do you think SeaWorld will be able to operate using its current business model - orca/dolphin captivity and shows? Once they spend time in a tank, they more or less stop calling because it bounces back from the wall of the tank. On top of that nastiness, you have apparently the horrific sound of the water pumps that keeps the water circulating and all that sort of thing. It just seems absolutely wrong to take those animals ... have them leaping out of the water and doing single tricks and keeping them in a confined space. Do you feel like based on everything you've seen that this could come to a stop soon? Are we reaching a tipping point? I certainly hope so. I talk to people who know about SeaWorld and of course SeaWorld is very powerful and they have operations worldwide. One of the top executives was quoted as saying none of this will affect us, we shall continue to do dolphin shows and people will continue to come and like them. We can see evidence of a shift taking place regarding how people think about animals from academia with the rise of animal studies to popular culture with the massive successes of recent documentaries like "The Cove" and "Blackfish." What do you think accounts for this shift? I think partly it's accounted for because the media has picked it up and the media is responsible in many ways for guiding what people think is important. With the social media coming in on top of that, so that things can be more easily shared with tweets and Facebook and all that sort of electronic information, it's inevitable I think that the people would start thinking differently about animals. How can the internet change the way people regard animals? How can social media change the landscape and efficacy of animal advocacy? Hugely. You can now get millions of people on a campaign just by pressing little buttons and get people to sign in and put their name out there. I think that's why you get demonstrations of thousands of people rather than the hundreds that you might have had twenty years ago. I think it's helping a lot. Of course, there are people tweeting and twittering on the other side of the argument, and I suppose they get more support as well. There's one thing about this changed attitude, and I meet it a lot when talking to people about intensive farming and so forth, and that is you start to tell them about what the animals endure and they don't want to know. Sometimes they say, "oh, don't tell me; I'm so sensitive and I love animals." Then they go and eat a pork chop. The secret of how you get to people - you've got to get into their heart. I don't think the head is much use in this situation. So it's crucial to connect with people emotionally on these issues? That's right. I know two examples where they had some facts ... when "Bambi" was first shown, deer hunting went right down. When "Babe" came out, some people stopped eating pigs for a while, but there wasn't enough follow-up. You have to find a way to capitalize on something like that and keep it out there somehow. Those are the challenges we face, and I do think social media can help. All these little YouTube animal skits, some of them are so amazing. Animal videos and stories in general tend to go viral online more than any other kind of story. Why do you think that is? Well, because animals do have a deep and ancient relationship to us. So when you see a baby rhino that's been brought up running around and around in the living room and playing with the dog, that's wonderful ... When you see that, people start thinking differently about rhinos. On one hand a film, a movie, a video or whatever which only shows the wonderful nature - that tends to lull people into thinking there's still a lot of nature left. When you come face-to-face with the individual animal, with the facts about so many rhinos being killed ... it makes you angry. When you then relate those numbers to [the baby rhino] running around and around in the living room, you think differently. So there's a potential power to these viral animal videos? They're more than just a fun break in the workday? I think they're really important in connecting heart and head. On the one hand you've got the science out there now that shows that animals do have personalities, minds and feelings. On the other hand you are seeing animals face-to-face in these YouTubes. What was a particularly emotionally moving experience you've had with an animal? I was in South Africa on a tour giving a fund raising dinner talk. The hosts really love dogs, so I was told when I arrived "We have two [Congolese hunting dogs], a male and a female. They're not aggressive, but they don't have much time for people. The female will let you pet her sometimes, but the male is just aloof." So indeed I petted the female and she wasn't particularly responsive, but it was okay. Then I'm giving my talk about how when I got to Cambridge University I was told that animals didn't have personalities, minds and feelings. I knew that professors were wrong [thanks to my childhood teacher]. My childhood teacher was my dog, Rusty. I'm up there on this little podium and I was thinking as I'm planning (you plan ahead while you're speaking); it would be nice if one of those dogs would come by. I was looking around the room to see if I could see one of them because then I could say, as I like to say, it changes the atmosphere of the room if there's a dog in it. The male dog, the one who could care less about people, he walked across the room, he climbed onto the podium, he stood with his side touching my leg looking out over the people. He then lay sphinx-style, touching me, looking at the people until I stopped talking about Rusty. Then he got up and left. The owners were gob-smacked. They said he never had done anything even remotely like this. I know you felt connected to animals from a very young age. Do you feel that an affinity to animals is something some people just have, or can it be learned? It was innate in me, but could have been crushed by an uncaring, unsympathetic mother. When she found earthworms in my bed, instead of getting angry she just said they needed the earth and they would die and I was making them die and I cried. I was one and a half. We took them back into the garden. But you see an awful lot of cruelty in children and hopefully there's somebody to guide them and to help them understand that animals feel like we do. Lots of people, not just children, never get taught that. I know when I started talking about the chimpanzees and other animals in Tanzania in 1991 when we began Roots and Shoots people started thinking in a new way about that. They hadn't thought about animals having feelings and feeling pain. The world opens up before you once you get out of this box that tells us animals don't have these sorts of feelings.